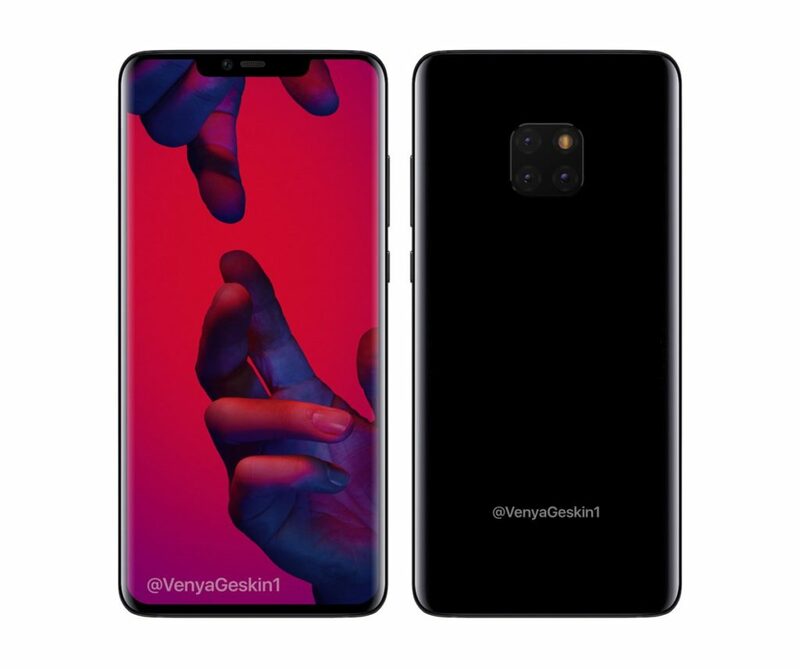 First of all, the Huawei Mate 20 that Ben Geskin rendered has a more rectangular format than usual, by today’s standards. It also adopts the new teardrop notch, that became popular thanks to Oppo F9 and Oppo R17. At the back sits the square shaped enclosure for the main camera, with 3 sensors and a LED flash. Glass on both sides and a big chin on this device. I also notice there’s a fingerprint scanner at the back here. 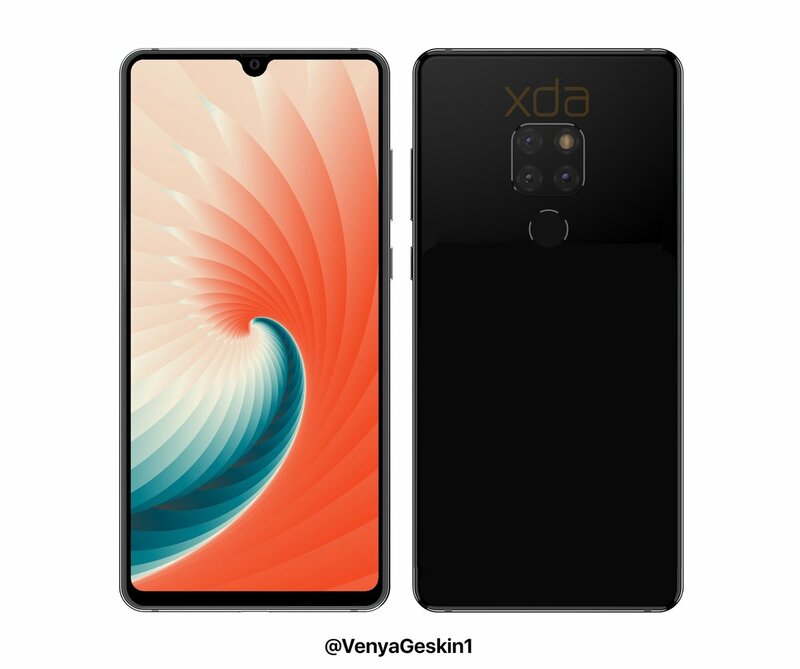 Meanwhile, the Huawei Mate 20 Pro is quite a bit different, as it has a larger notch, in order to accommodate a 3D face scanning mechanism. 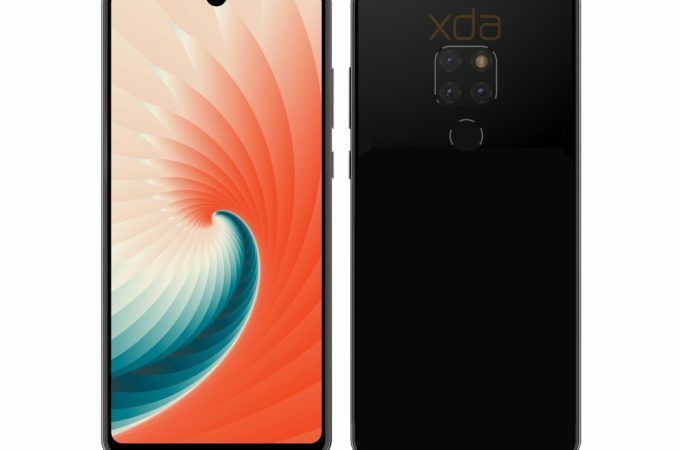 The front panel also has a more generous screen to body ratio, it’s curved on the sides, corners, top and bottom and the fingerprint scanner is gone from the back, being integrated in the screen. The chin is also a bit smaller.